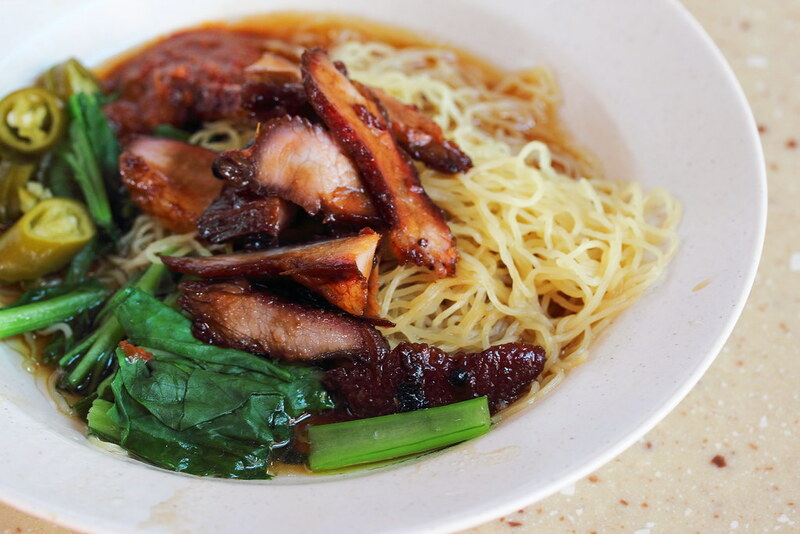 For those staying in the West, if you ask them where to get the best wanton mee and they would probably recommend Fei Fei Roasted Noodle at Yuhua Village Food Centre. With age catching up, uncle Tommy has stopped selling his popular sio bak. Now the stall only sells roasted duck and char siew. The heart warming thing is that his son is now helping out in stall as well as roasting. What makes me brave the long queue at Fei Fei Roasted Noodle is the Wanton Mee ($3). Uncle Tommy still continues to charcoal grill is char siew and uses only the armpit part of the pork. The char siew has a nice exterior caramelized charred while the meat has a beautiful proportion of fats and lean, bursting with juiciness. The other highlight of the wanton mee is the thin and springy noodle. From the appearance, the noodle looks like angel hair pasta. However I felt that sauce was on the salty side. 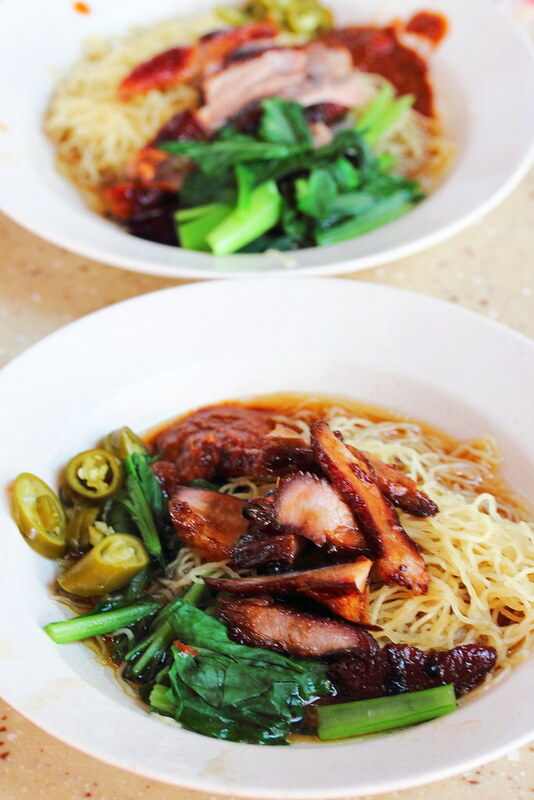 There are many wanton mee stalls in Singapore but hardly we can find one that has the full package. What I meant by full package is the char siew, noodle and wanton. At Fei Fei Roasted Noodle, you get all of that. 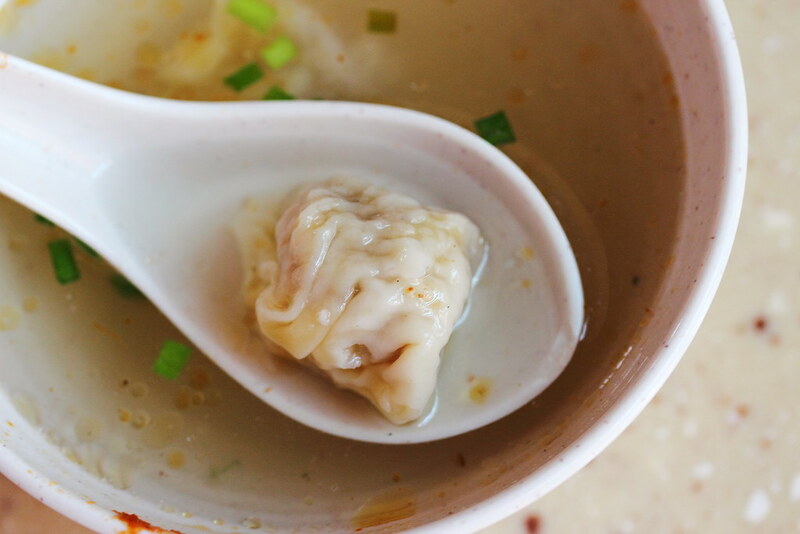 The Wanton wrapped with the soft and smooth wanton skin is stuffed fully with prawn paste, minced meat and even dried sole fish for an extra lift in flavour. 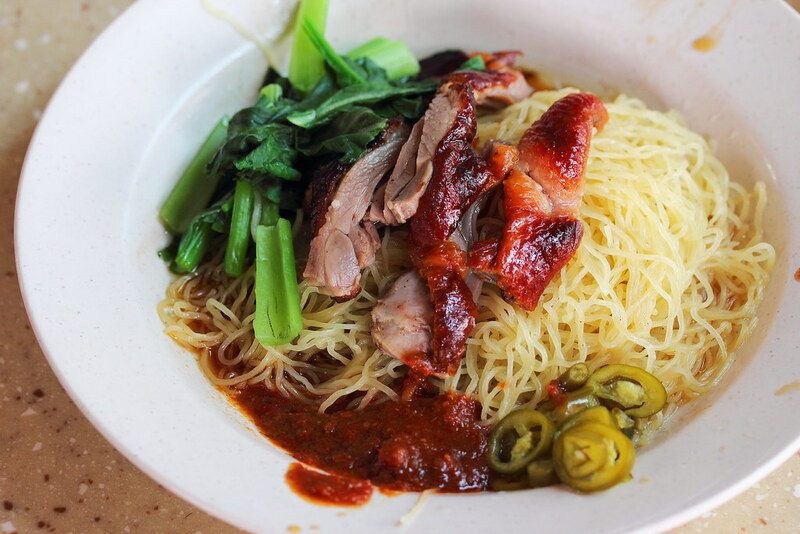 Besides the wanton mee, Fei Fei Roasted Noodle also sells Roasted Duck Noodle. The roasted has a nice thin crispy skin while the meat has an enjoyable tender bite to it. However I still find the char siew is much better than the roasted duck here. 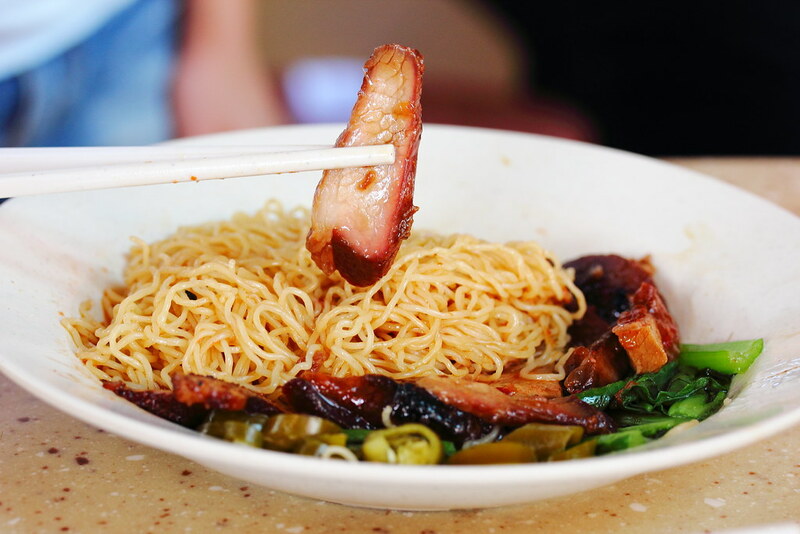 Do note that although Fei Fei Roasted Noodle opens at 9am, the char siew is only available after 1030am. Most of the time, the char siew will be sold out by 12pm. Hence, be there early if you do not want to miss the delicious char siew.